I’m about to go on traveling with couple of friends but due to some urgent matters that they need to attend to, for some reasons, they wont be able to make it. So rather than waste my flights, I decided to take ‘time out’ on my own. Many people think it’s unusual to have had a trip planned which would have included lots of socialising, but then make a decision to go wandering in solitude instead. Not at all. I find it harder to be in big groups when I have a lot of stuff going on in my head, and therefore prefer my own company at such times – or at least, just the very occasional company of strangers. And while other people may dread the thought of having a week alone in a capital city, I’m relishing the idea. I always gain a real sense of self-achievement when I travel alone. I wouldn’t be surprised if I am turning into something of a loner. Blame eight years of self-supporting lifestyle and twelve years of living alone for that! But I have discovered that I do actually love to travel solo. In fact, the more I do it, the more I realise I find travel with other people difficult. It’s probably because the more I actually travel with people, the easier I think it is to just do it my way, rather than accommodate someone else. The older I get, the more self-reliant I become. Quite fiercely so, in fact. And I am accustomed to going about my life without ever asking permission or checking things out with other people. I suppose partly due to this, I’m not good at realising when I have to operate as a team, that many other (dare I say, normal) people seem to have a skill in, which makes it hard for whoever travels with me. You know who are you are, dear friends and family! And I feel sorry for you having to travel with me. So I find it much less stressful being on my own. Unless it’s a sort of sun, sea and sand holiday, where I’m expecting to do little else than read a book by the pool and quaff a few cocktails. And therefore there are fewer occasions for a clash of needs. There’s no need for negotiation when I travel as a single. I can do what I like when I like. I can eat where I want when I want. I can get up when I want, sleep in or wake up early. And I don’t have to worry if the other person is okay or not with whatever arrangements we make. Also – I only have myself to blame if things don’t go as expected. Which is great for improving my sense of responsibility and accountability. And if things do go wrong, there’s no one to argue about it with. I have to slap my own wrists. But it’s not just about the fact that I like to do things my way and I can spend time however I desire. I gain sanctuary from being alone in a foreign place. Whether I’m sight-seeing, wandering city gardens, writing poetry in a park or reading in a café, or getting out into the hills to walk, I love the chance to have time to reflect on life and be in the moment. It’s also good to go where no one knows me. I can be whoever I choose to be. I’m not saying that I’m going to strut around as a female impersonator of Elvis, but I don’t have to fit into the persona that I’m expected to fit into when at home or when travelling with someone I know well (be it a sister, writer, girlfriend, or animal guardian!). I won’t be judged if I try and act in a different way, whether that’s being a little more confident or brave, or even acting a little more shy or coy. Of course, in my enjoyment of travelling solo, I don’t want to sound like I’m some kind of social outcast, unable to relate to others. As anyone who knows me personally will tell you, I’m very sociable and really come alive in the company of friends. I’m most definitely the opposite of a wallflower, and love parties (though not as much as when I was in my teenage years, admittedly). But I like to socialise on my terms. And when I’ve had enough, I like to be able to leave – without offending anyone. It’s easier to do that with strangers. And that’s part of the beauty of travelling solo for me. When you travel alone, you are open to whatever may happen. You can follow any path you choose and if you decide to stay somewhere else, or take a different train, you can do that. Also, though it may not seem so to those unaccustomed to lone travel, you can often meet more new people when you travel alone – it’s not as isolating an experience as one might think. When you travel with a partner or a friend you often just talk to each other, and you appear less approachable from the outside. As a lone ranger, other travellers will be more likely to get chatting to you. And the more you do step out into the big wide world by yourself, the easier it gets to spot that other solo traveller looking to grab a glass of vino and share some tales. Permanent travelling companions can tie you down. You have to accommodate them or stick to the itinerary and sometimes do what they want to do instead of what you want to do. It means compromising. And this also means you may not be able to just go with the flow while travelling. I love the fact that travelling single means the world opens like a blossom and allows for so many other experiences that may never occur if you’ve got your attention taken by your partner or buddy. So, rather than worrying that I’m going to have a lonely trip, I’m excited about what it may bring, for the very fact that I AM alone. Yes, solo travel fills me with excitement. How about you? I think once you’ve plucked up the courage to travel solo, you never look back for the confidence and the other opportunities it can bring. But getting on the plane that first time can be a challenge. 1. Treat your trip as the step to independence and liberation that it is! You will be able to do whatever you please. You can stay in bed late, get up at 5am, eat wherever you like, go wherever you like. It’s pretty cool stuff. Seeing yourself in this new, empowered light can often be all it takes to give you the courage to start planning a first solo trip. 2. If it helps, think of your travel as a journey to self-discovery. This is your chance to explore parts of yourself that you never knew existed. Take a journal and spend time writing about your thoughts and feelings and the days that unfold while you’re away. You’ll be amazed at how much you can get out of doing this! 3. Consider your trip to be ‘me-time’! Think about the things in your life you don’t have time to do and relish the idea of doing them when you travel. Maybe you want to catch up on reading some classics, or try your hand at writing poetry, short-stories or sketching? Or do you want to while away a whole day looking at some of the world’s finest art in a famous museum, or take up a cookery class? The choices are endless. 4. Research your destination as much as possible before you go. Find out where the good restaurants close to your hotel are, whether there will be any public events to attend, what the transport system and taxi service is like, if there are any ‘no-go’ areas, which days the shops are open, and so on. The more information you have, the better equipped you’ll be to enjoy your first time travelling alone. 5. Make connections before you go. If you’re worried about getting lonely, research the possibilities for making friends before you travel, and consider hooking up with other travellers though the likes of Couchsurfing, WAYN or even Trip Advisor. CouchSurfing is my favourite, since a lot of the other people on there are ‘verified’ and it’s a free service. Also, there are group activities available to join in and many people available who are eager to show you around or meet you for a coffee. 6. Practice situations in which you can chat to strangers. Once you’re in anew place it helps to be confident in being able to strike up a conversation with someone you don’t know – so do lots of it while at home. Then as soon as you get on the plane, start chatting with your fellow passengers. In your destination, book a historical tour and aim to speak to the other people on it, or ask another stranger who is dining alone if you can join them (they’ll probably be really glad you did!). The more you do this, the more you push your comfort zone and get better at it. 7. Plan ahead for the evenings. These can often be the toughest to deal with as a newbie solo trekker (or even an old-timer). If you meet travellers you can go out with for dinner or drinks – great. But if you do wind up on your ownsome, put some thought into what you’ll do. I’d personally wouldn’t go to a nightclub, but I will go to a restaurant where I’ll feel comfortable lingering after my meal with a glass of wine and a good read. Cinemas are a good option, as well as art events which often attract solo people anyhow. And I love live music – so I will often go to gigs. Whatever you do, don’t just sit in your room and order room service! At least start with dining at the hotel restaurant. 8. A final tip – downgrade your accommodation style! I’ve added this after posting as it just occurred to me as an important tip. But even if you’re outside of your twenties and thirties as I am, don’t disregard booking hostel-type accommodation. Hostels are great places to meet other travellers, as they often have communal areas like kitchens or lounges or relaxed bars. There are some really fancy pants hostels in many destinations, so don’t feel they have to be a comfort-compromise, and also many have private rooms. So you get the benefit of the hostel camaraderie, without having to hear someone else snore. Do you prefer to travel solo? The long awaited vacation is finally here. After I settled myself in the big City, i was lucky enough to have the grandest time of my CVG Life. A nine days Vacation is just awesome. It’s my first time to be boarded by ZestAir Air bus and it’s not as bad as I expected. There was a delay though because of the Runway traffic which most of the airline companies are suffering nowadays, nevertheless, we arrived home safely. So off I went back to my hometown, said hi to my Blue Haven and after few hours of recharging i took a tiring 9 hour road trip to the queen city of the South: Cebu City. I boarded Ceres Bus midnight trip traversing coastal roads at exactly 1230 AM via Toledo Cebu and after 5 hours of wandering through the darkest nights we finally arrived in San Carlos City Port. Exactly 530 in the morning, Friday, May 24th, we left Negros Occidental via MV Lite Ferry II bound for Toledo Cebu. After almost 2 hours of smooth sailing, we finally arrived in Toledo City, Cebu. After another 2 hours of traveling, i finally touched down Cebu City. Very Tired and hungry, i waited for a friend to have a quick Lunch at Ayala Center Cebu, this is going to be a “Lechon day” i declared. Off we went and have a quick bite of Cnt Lechon. It’s yummy! Not only that Cebu is famed for its beaches and tourist spots, but its also being flocked for its mouth watering Lechon. As far as I know, there were 2 famous lechon houses here in Cebu and thats the CnT Lechon and Zubuchon. After that Cholesterol filled lunch, off I went to my backpacker’s heaven here in Cebu. Sugbutel, located in North Reclamation Area. SUGBUTEL is the newest and the most affordable place to stay in Cebu. For only P250. This Bed and bath has been developed mainly for stranded passengers but does offer very cheap accommodation if on a tight budget. I chose the dorm type accommodation with the following amenities: - Air-conditioned - free wifi internet access - piped-in music - 24 hour security with CCTV - wide screen HDTV and JBL surround sound system at its entertainment area. I stayed here for 2 nights and the experience is pretty much great. After i settled myself in here, took a refreshing bath, i called it a day and took a nap prepared myself for the evening tour as I may say, but its just a simple tour at Cebu’s IT Park, I get to visit a friend and had another Lechon Feast for Dinner. This time its in Zubuchon. I get to tour around IT park myself and after getting tired of endless walking and eating I went back to Sugbutel, prepared my stuff for my next day’s adventure. I decided to spend a Saturday tour in Bohol. This should have been a beach bumming weekend but due to some constraints i ended up in Bohol. Of course, i wouldn't waste my time going here in Cebu for nothing. Before i went to sleep i made sure i had my stuff packed and checked the earliest trip to Bohol. As previously planned, I will start from Tubigon and end up in Tagbilaran and back to Tubigon. I woke up around 5 in the morning as Ill be catching a 7 AM trip to Tubigon. I took the MV Starcraft vessel from Cebu City to Tubigon Pier. Today is a big day for me – I am about to embark on a day’s worth of new experiences! Prior to my arrival i already have contacted several persons for a countryside tour. I got it for Php 2,500 all –in. For budget conscious traveler like me its a bit expensive but I say its still good enough than the others. I have all the time in the world and get amazed with Bohol’s wonders. This island is really blessed with some pretty awesome treasures. From the tarsiers and dolphins to the Chocolate hills and white sand beaches, Bohol offers it's visitors a beautiful escape from the proverbial concrete jungles most of us live in. 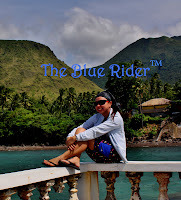 So join me as I explore the beauty of Nature and the famed humps of the Philippines in Bohol. You can either follow the same route I have or have it your way. First stop for this tour is the Sagbayan Peak. Another way to view the majestic Chocolate Hills is at “Sagbayan Peak”, a mountain resort in Sagbayan Town which boasts a 360 degree perspective of the Chocolate Hills from its elevated ridge known as the Viewing Deck. It also provides an unobstructed view of the Cebu Sea and the neighboring towns. The peak has a restaurant and a children’s park with Bugs Bunny, Snow White and the Seven Dwarfs, and various other Toontown figures. Aside from the function hall and viewing deck, a hotel, swimming pool, driving range, a butterfly dome and even a tarsier sanctuary are now on the drawing board. After Sagbayan Peak, we then headed to the Town of Carmen where the Chocolate Hills complex can be found. The Chocolate Hills are probably Bohol's most famous tourist attraction. They look like giant mole hills and remind us of the hills in a small child's drawing. Most people who first see pictures of this landscape can hardly believe that these hills are not a man-made artifact. The chocolate hills consist of are no less than 1268 hills (some claim this to be the exact number). They are very uniform in shape and mostly between 30 and 50 meters high. They are covered with grass, which, at the end of the dry season, turns chocolate brown. From this color, the hills derive their name. At other times, the hills are green, and the association may be a bit difficult to make. If you climb the 214 steps to the top of the observation hill near the complex, you can read this explanation on a bronze plaque. This is a dream come true as I only saw the Chocolate Hills way back high school days in our history books. At last I am finally here! its a bit tiring going up here but it’s all worth it seeing this breath taking view. On our way to the next destination, we passed by this Shiphaus. It is located in Batuan, Bohol. This is one of the newest attractions in the island. It’s uniquely shaped like a shipping vessel l thus the name Shiphaus. Owned by Capt Gaudencio Dumapias, a native of Batuan who became a successful mariner. The house was opened in late 2011 to local and foreign tourists to showcase the culture of Batuan. One can see the local weavers at work and buy their wares at the souvenir shop. Off we go to the next destination which is in Bilar where we can find the man made forest. The Bohol forest is a man-made forest filled with Mahogany trees stretching up to 2 kilometers. The man-made forest stands out because of the uniformity in height of the big trees, the spread of its branches, thickness and design of leaves. Seedlings abound around the older trees. Trunks, some thick and others just a few months old, grow resplendently straight up towards the sky which is obscured by the branches and the thick leaves. When you enter the forest, one will feel the abrupt change in temperature, especially during summer or hot season. It is hot outside the forested area, but once under the overhanging trees, one is refreshed by the cool breeze. This mountain area seldom sees the sun shine and most often than not, it rains here. Local folks attribute these to the presence of the dense forest. Just in time for Lunch, we arrived at Loboc Tourist Complex where can experience the hospitality of Boholanos and at the same time spending a great Lunch while cruising the Loboc River. Bohol is not just a tourist place to see but also a place of music minded and peace loving people. Located along the “fabulous” Loboc River visited by thousands each year for its placid blue green water and endearing Floating Restaurants - but secluded enough to allow you to savor the magic and tranquility of a tropical hideaway. The restaurants offers buffet lunch to your preference. Since there are many floating restaurants, the choice comes down to the menu and your type of music. At the entrance of the boat I picked, the walls were pasted with photos of celebrities and well-known figures who have taken the cruise. For a price of P350 and P100 maintenance fee, I was treated with an all-you-can-eat buffet of various seafood dishes, vegetables and desserts. While partaking of the delicious lunch, guests were serenaded by a guitar-strumming folk singer. It was a unique experience for me eating lunch while cruising a river. The river and the surrounding area give off a kind a serenity and quiet that serve as a welcome respite for a city gal like me who have had it with pollution, swarm of people, heat and vehicles. After lunch, it was time to get off the table and explore the boat and take pictures of people and scenery. As the boat cruised the river, I saw children swimming and men rowing their bangka – the typical daily life of the locals living in around and along the river. Another unexpected delight was the small children climbing the trees overhanging the river and jumping into the water. This serves as their diving boards, a lot of divers and swimmers in here, huh! Before the boat returns to its starting point, there is a brief stop where the guest will be treated with a short entertainment from the locals. They dance and sing welcoming the tourist to their place. Childrens and adults joined together. Before the turning point of the boat, you can see the Busay Falls and the boat will take a short stop to allow guests to take in more of the scenery and snap pictures. Busay Falls is really a “mini-me” falls because it is just one and a half meters tall at most. After i feasted to that sumptuous lunch at the Loboc River, we then headed off to our next destination which is in Alburquerque, know to locals as the town of Albur. The place is reputed to have one of the longest python in Captivity. The python named Prony is Albur's star and has known to the people as "Live Anaconda of Bohol” a self developed and trained python. It was captured October 21, 1996 with 5 feet length and weighing only 5 kilograms. As of 2012 the Python had grown tremendously weighing 280 kilograms with a length of 27 feet and a body dimension of 34 inches. One feeding session requires at least 20 kilos of chicken or meat. How’s that?! Off to our last and final destination in Tagbilaran City, the famous Blood Compact Site. This Sikatuna-Legaspi blood compact is considered as the First Treaty of Friendship between two different races, religions, cultures and civilizations. It was a treaty of friendship based on respect and equality. This event is commonly known as “Sandugo”. Boholanos even celebrated this feast know as “Sandugo Festival” The Bohol Blood Compact sculpture was made by the National Artist, Napoleon Abueva, a Boholano himself. It is placed on an open and raised dais portraying five (5) life-sized images of men gathered around a table with Legazpi and Sikatuna supposedly making a toast. Standing on the dais, visitors are treated to a good view of the Bohol Sea and the contour of that particular side of the island of Bohol. Fronting a public school of Barangay Bool, the site is easily accessible since it is along the national road. Many shops offering souvenir and gift items are along the road and across it and of course this tour will not be complete without my KeyChains and Island Shirt for keeps. Bohol is not only famed for the above mentioned spots, its also home of Old Churches dating back to the early years of the Spanish colonization of the island. I took advantage of my visit in the island and captured some of them. It was a short yet very memorable countryside day in Bohol. One notch down in my list. I will go back to explore the remaining parts of the Island: Panglao, I shall return!